Internet service has returned to most of Ethiopia that has been in the dark since last February. Mobile data has been shut down in the entire country with the exception of the capital Addis Ababa since the reimposition of a state of emergency on February 16, 2018. 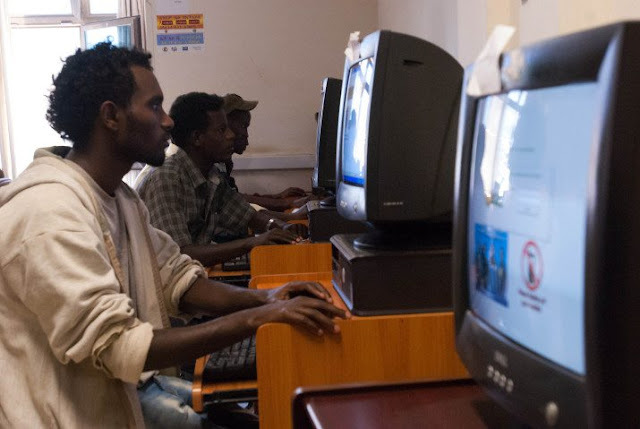 Ethiopia has continued to block critical media based abroad, like the Ethiopian Satellite Television and Radio (ESAT) and the Oromo Media Network (OMN) based in the United States. With the absence of an independent media in a country, which descended into a police state after serious protests erupted two years ago, ESAT and OMN were the only means of news for most of Ethiopia’s information deprived population. The two media are also outlawed by the regime that criminalized watching the channels. The shutdown mainly targeted the Oromo and Amhara regions where years of protests for political and economic rights had forced the regime to declare a martial law twice to crush growing dissent. One of the world’s worst enemies of the press, a description used by press freedom watch dogs such as CPJ, the country is also paying a price for blocking the Internet with some experts estimating that the country loses upto 1 million dollars a day for shutting down the information highway. According to Internet Live Stats, there are only 4.2 million Internet users in the country of over 100 million people. One of the least connected countries in the world, Ethiopia also has one of the lowest mobile phone penetration in the world. Telecommunications, which has been stifled with exorbitant rates, remains the monopoly of the state.